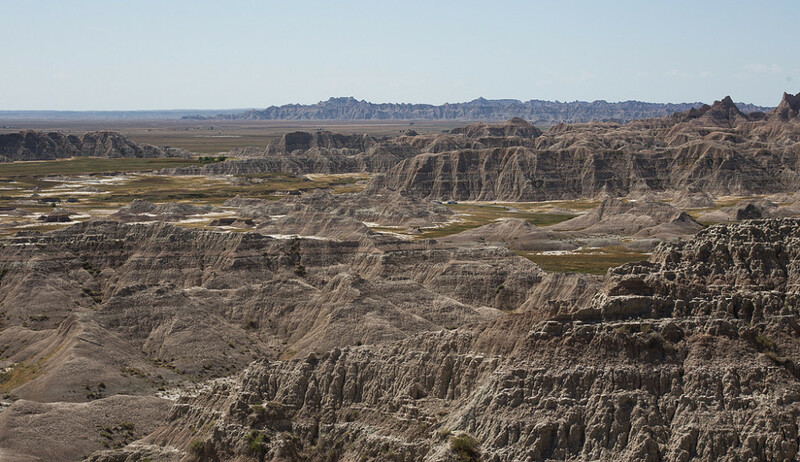 In western South Dakota, the endless farms turn into endless grassland, which eventually turns into the Badlands. The original plan was to see the rock formations as we drove by on the highway, but when we realized this would only allow us a fleeting glimpse, we turned around and paid the $15 fee to enter the National Park. It was well worth it. Though there is some hiking to be done there, there are spectacular views right from the main road and one can easily get out of the car and walk on the barren landscape, which gives you a sense of the scale. It really does feel like you have stepped onto an alien planet, the canyons and jagged rocks seem to go on forever with only a few signs of plant life in sight. Further west the moonscape gives way to steep white cliffs that descend to a perfectly flat grassland. The upper plateau is dotted with prairie dog holes, when we stopped to take a look, they were all already in the holes with one standing outside on watch, chirping. 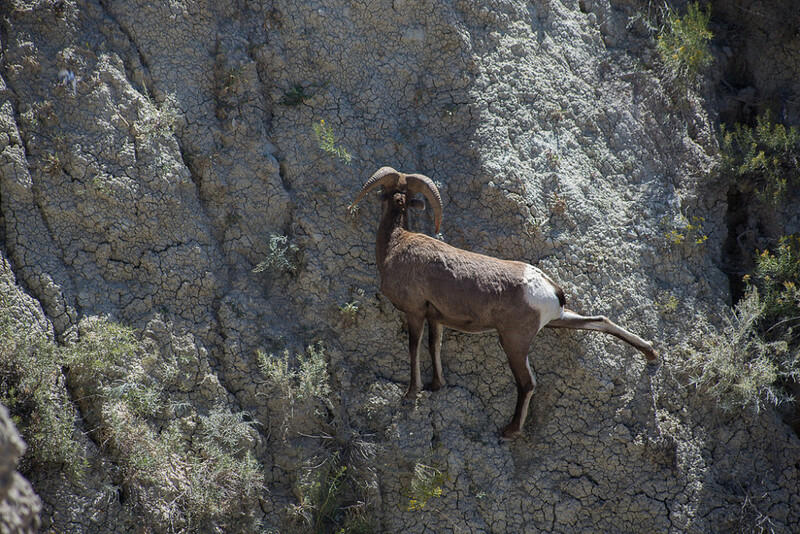 There were also quite a few mountain goats in one area, though that came with the obligatory hordes of people taking pictures. 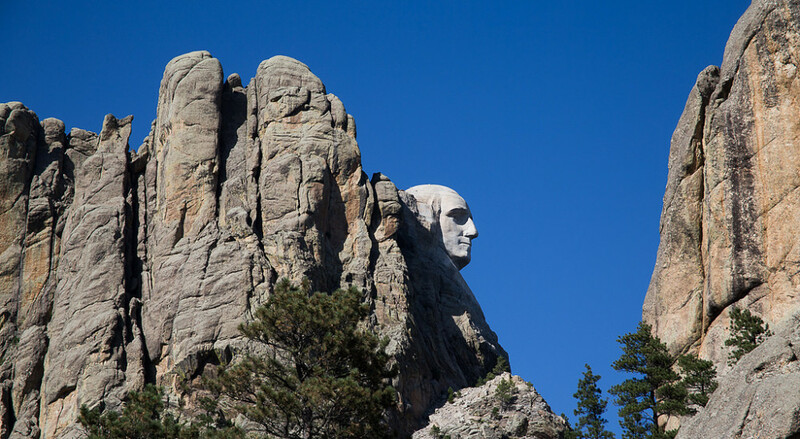 Our next destinations were in the Black Hills, home to Mount Rushmore. There is a view of the monument from the windy road, so we avoided paying to actually go into the park. Yup, this is a very frugal roadtrip. The road eventually led to a view of the Presidents I had never seen before in pictures. The Black Hills National Forest is really interesting, the tall pine forests are filled with tall, rounded rock formations that poke out of the canopy. These rocks make for excellent climbing, and the dispersed camping we stayed at was full of rock climbers. 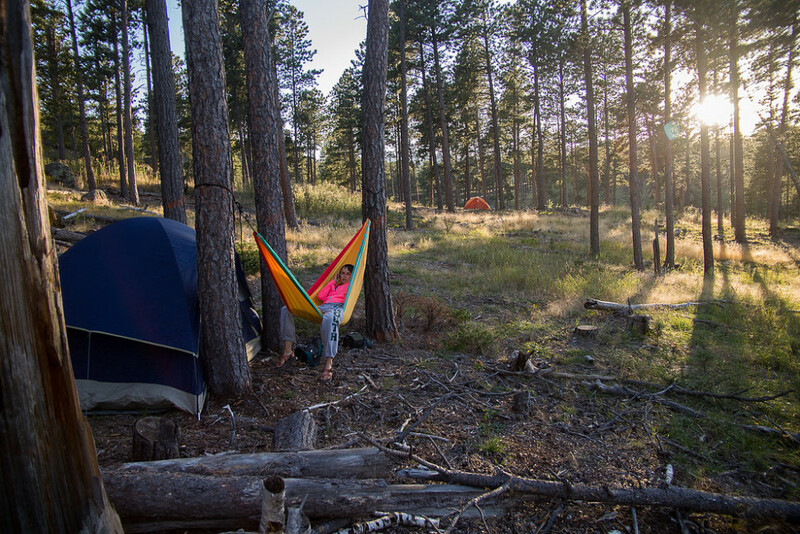 After an emergency KOA stay in Ohio, an RV park in Illinois, and the ghost town in Marion, South Dakota it was nice to be among other young outdoorsy people who sleep in tents. 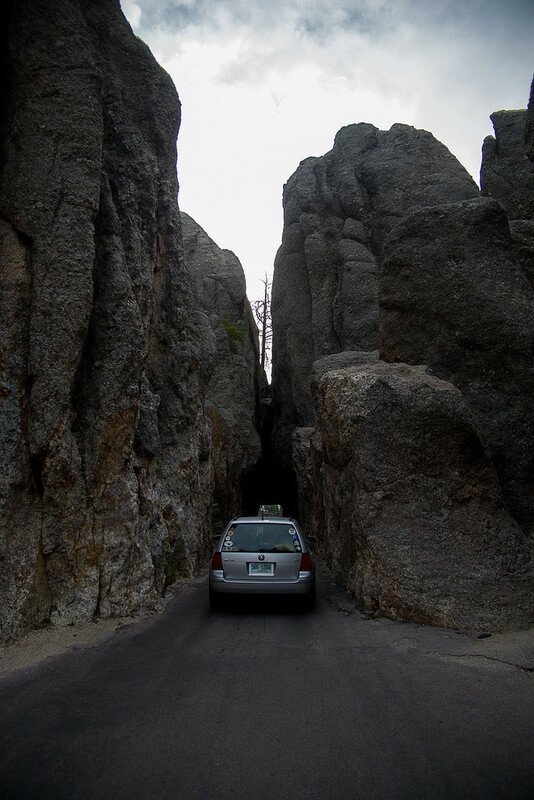 The next morning we drove to the Cathedral Spires trailhead which featured this pretty awesome tunnel. We got out early enough to beat the crowds, and had the trail all to ourselves. 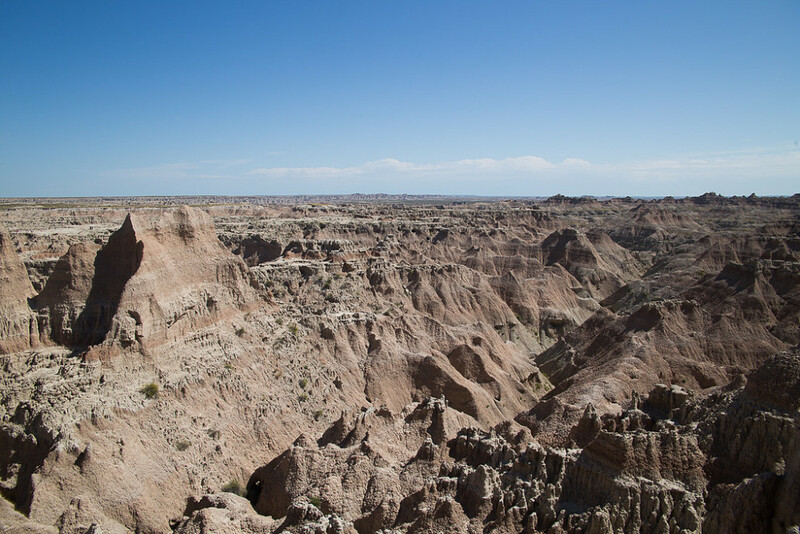 The grassy valley lined with jagged, curving spires looked like a place that J.R.R. 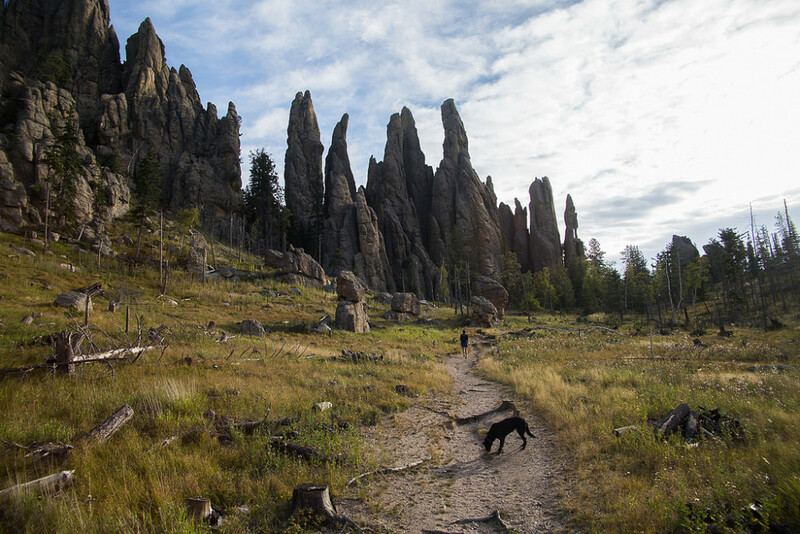 Tolkien may have described, the Fellowship feeling a strange aura as they walked into the sunrise among the tooth-like pinnacles. The air was cool and it was very peaceful. After the hike, it was on to Montana via Wyoming.